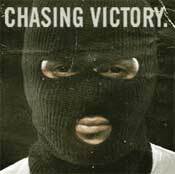 Chasing Victory is releasing their second full length album "Fiends" on May 8, 2007. I got a chance to interview the vocalist and front man of this band, Adam Harrell, to find out a little more about this Christian rock band. This Albany, Georgia based band has a lot to say about life's addictions and how "fiends" of any kind can be harmful if they are addictive. If you are a fan of some good down to earth rock, I recommend picking up this album, as it is very solid in the musicianship and the lyrics are quite powerful. Shayna: You guys are from Georgia, and I'm just curious as to when you formed? Adam: We formed about 6 years ago it was Jeremy our drummer, Michael – guitars and I, and originally we were just a cover band. We were all sophomores in High school. We were all just basically messing around and we just took off from there. Shayna: How did all of you meet? Adam: Well, I actually did not go to school with any of the guys in the band now, but back then I did, and they just came and asked me to sing for them without really knowing if I could sing or not! They were just taking a chance that I knew how to sing. So at the time we were just hanging out and playing music together, and two of the guys now that are in the band live in Alabama and we just met them through playing shows and playing with other bands that were their friends. Shayna: With the album "Fiends" being your second album, what do you feel were some challenges in creating this album? Adam: Well Chris and Clutch, the newest members of the band, one joined in the middle of making "I call this Abandonment" and the other joined after the recording of this album so it was the writing with new musicians. Also we were doing previous music that we didn't want to write, and being in a rut where we were writing whatever came to mind, so we really had to sit down and write something that would take off. Shayna: Where are you guys headed for the remainder of the tour? Adam: We hit Michigan and Ohio and some other East coast stops and then we are shooting a video, we are pretty busy until July actually. Shayna: What has been your favorite city to play in so far? Adam: We played in Toronto, and this was our first time going to Canada, and Toronto was really awesome. We also played in Portland, OR for the first time and that was amazing. Some of the newer cities we played in that we had never played in before wound up being really awesome. Shayna: I know you feel that everyone has fiends living inside themselves, so what are your definition of a fiend? Adam: Well I guess back in High school I dabbled not really with drugs, but with drinking, and I know that each one of us has struggled with doing drugs moderately or with alcohol, which, can wind up hurting you or the people you love. Right now I'm pretty clean, but we all have pride issues, so I guess Fiends is the demons that live inside of all of us that we try to get rid of whether it be addiction or anything that brings you down. Shayna: Well I think the album title is pretty cool, actually, as well as the song. Adam: Yeah well we actually had a hard time deciding on the album name! Shayna: I love your song "Wolves", who does the trumpets work on this song? Adam: The producer that made our record is an incredible producer and he can write orchestral pieces. He came in and he actually had recorded the tracks himself, and so it was more or less his idea. We had the idea that we wanted something like trumpets in the song or something weird, and he also did some other orchestral pieces for a couple other songs too. Shayna: Well I thought that was really cool that there are trumpets in some of your songs, even with nobody in your band playing them! Adam: Yeah, well actually Jeremy and Mike did play trumpet back in High school. Shayna: Who is your biggest influence as far as vocals go? Adam: For this record, without a doubt Jeff Buckley! He was a big influence on me as far as vocals go. We also have gone back to listening to a lot of 90's rock, which helped influence me as well, I've been trying to listen to some older music. Shayna: When did you first determine that you wanted to be a singer? Adam: I don't know, I guess growing up I grew up in a really small southern town, and really the only music we ever heard was on the radio and my mother and stepfather were in a gospel group, like country or blues, to be honest I don't know what you would call it, but she always sang, and she always tried to get me interested in it. I also met some guys that showed me some more progressive rock as well. Growing up I was actually really into Nirvana and that also helped me decide I wanted to sing. Shayna: Has anyone ever told you that you sound a little like the Radiohead singer? Adam: No! But I would kiss whoever said that! I really like Radiohead a lot. Shayna: Ha, ha, ha! Well don't kiss me, because I'm the one who said that, but when you sing more alto you definitely remind me of his singing style! Adam: Well thanks I'm a huge Radiohead fan. Shayna: What do you like to do in your free time? Adam: Now when I'm not touring I like to hang out at home with my wife and relax and watch TV. I don't really do a lot when I'm home anymore. I used to goof off a lot but now I like to be more laid back and hang out with my wife. Shayna: What has been the craziest moment on tour so far? Adam: This tour, hmmm, well this has actually been a pretty laid back tour and everyone has been pretty chill. We did have a show planned for Fresno, CA and we got there, and they had moved the show 3 hours away because the promoter just backed down at the last minute. So we had to play 3 hours away and they had about 6 hours to promote the show. So we pretty much got there and played with no fans. Shayna: Is the song Janus about someone you know personally? You talk about "pulling you out of the water" and "pulling you under. Tonight could be the greatest night of all your nights" what is the significance of these lyrics? Adam: No, I guess at the time when I wrote it I felt like it was, but the song reminds me of carrying someone through problems and how they always turn back to the same problems. I'm Christian, and I know some Christians can really push their beliefs on people, and this totally turns people away. So no, none of the songs are about any personal friends, just more about people in general. It is about in general people who are trying to overcome an alcohol or drug addiction, and how those addictions just drag them down. Its more about wanting them to see that they need to just change their ways since this can hurt those around them that love and care for them. Shayna: Do you write all the lyrics to your songs, or do some of the other members write some of the songs for your albums? Adam: For the most part I write them all. I'll ask them if there is anything they want to talk about in a certain song, and we all come up with ideas, but I write the lyrics for the most part. Shayna: What is your absolute favorite band of all time? Shayna: How does Mono Vs. Stereo treat you guys? Adam: They are incredible! They have been a smaller label. Right now, they have about 5 bands on their label, and they are more like a small family. Every time we are in Nashville they take us out and treat us like family, they are all really awesome people. Shayna: If there was anything at all you would want your fans to know about you or your band, what would that be? Adam: All of the songs on this new record we wanted to talk about not being bull-headed, and not getting caught up in things that can hold you down. Any addiction can turn in to bad things because we have all seen it with our families. Shayna: Well thanks for taking the time to tell me a little about yourself, good luck on the rest of your tour and with your busy schedule!